Emergency Health Sciences faculty member Robert Moya III was on a routine quality assurance/quality inspection visit on Oct. 4 when he was dispatched to respond to a shooting with multiple victims in far west Bexar County. Moya, who serves as Bexar County first responder organization coordinator, was just two blocks away from the shooting when the call came in. The patient he treated was a semi-conscious 15-year-old male with three gunshot wounds. “I remember telling him, ‘I am going to do everything I can to fight for you,’” Moya recalled. The shooting victim was airlifted to University Hospital, said Moya, who noted that teen was still unconscious but stable when he visited him the day before the Oct. 25 ceremony. For his efforts that day, Moya received the Bexar County Sheriff’s Office Meritorious Service Award, an honor that he said surprised and humbled him. Several other responders at the scene of the shooting also received awards for their service, he said. 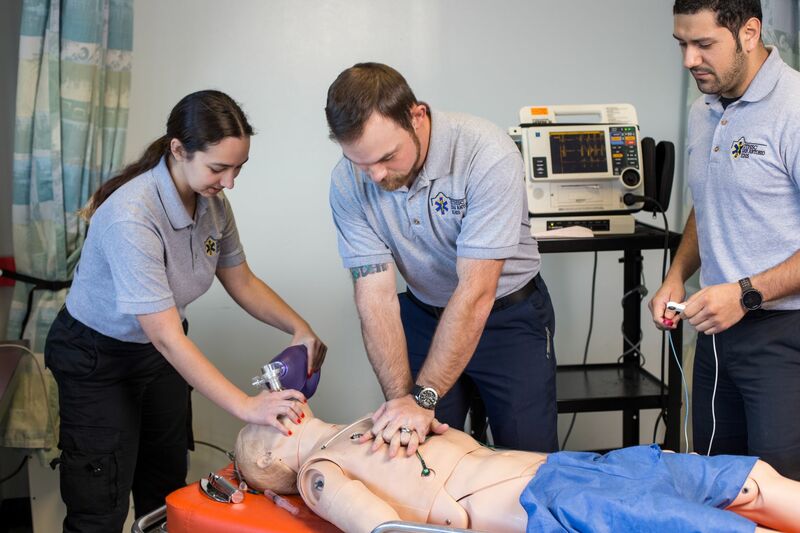 “His quick actions are not only a reflection on his own medical expertise but dramatically demonstrate the impact that UT Health faculty and our EMS education programs have on pre-hospital emergency medical care,” Villers said. Moya’s role with Bexar County is part of a long-standing agreement with the University Health System. “Since the 1980s, EHS in partnership with University Health System has organized multiple fire departments and first responder groups under one umbrella to improve emergency first responder medical care and training for Bexar County,” Villers said.